Nate has challenged Konasumi to a touge battle on Gran Turismo 6. Both racers will be using 430PP tuned vehicles to battle each other on the famous Nürburgring Nordschleife. Who will win this duel? I'll make a video of this battle when the battle has been completed. Permission granted on the video! I'll have a Car for you to put on here before the day is out. Also are we disallowing any car with preset aero? Preset aero is allowed. Cars like the Opera S2000 are allowed, but full on race cars are not allowed. Okay well I wont be using one anyway considering we'll be running 430PP, going to do some testing now. I wonder why that was the first car Kona thought of. Haha, it's ridiculously quick in GT6. or maybe he's jealous of the S2000 that put up a fight in GT5. -_- Obelisk what are you implying...? I was making a joke, Kraze. There will be a slight change in the battle rules; the PP has been upped to 500. I car I have chosen to race with is the Mazda RX-7 Spirit R.
Damn, I had a Spirit R built up and ready ;)I think I'll look for something else though. Kona, are you still running the Spirit R or are you using the Subaru now? Nate, I would like to have my car changed to a Impreza. Sorry for not pushing forward for a date for the battle, I have been struggling with my internet again. I have a new router coming to be put in this week, not sure when though, i'll let you know when everything is fixed. Congrats on the win, Nate! You're really fast in that NSX. I'll try to get the battle video out next week at the latest. This is not the first time I have lost a battle. I am not going to complain about my loss; Nate won this battle fair and square. The Subaru I have chosen is not predictable enough for battling. 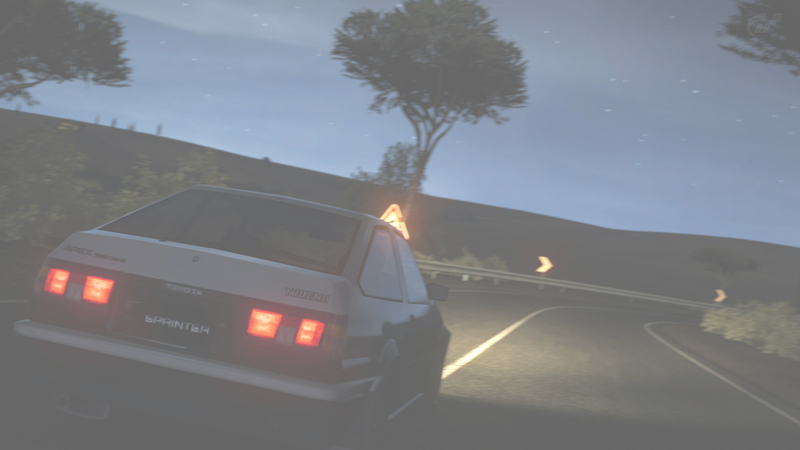 I happened to lose control of the Impreza numerous times throughout the battle, and nearly crashed. I also have not been on GT6 for a little while, and I was rusty because of that. Nate did great (no rhyme intended) in this battle, and I look forward to battling again! Just let me know when and I'd be happy to. Jeez, I did not see that coming. I could tell, it certainly appeared to be a handful, I nearly wiped out too at the end of the second run haha. Plus as you say you haven't been on for a few days, I look forward to a rematch when I get settled with my new steering wheel in a couple of weeks time. Just letting you know I'm working on the battle video! It should be out by this week. The Subaru I have chosen is not predictable enough for battling. I happened to lose control of the Impreza numerous times throughout the battle, and nearly crashed. I can relate to this with my IMPREZA during my previous battles. The carousel is the worst section for my imp because if I throttle too sudden I'd go off the slanted section of the hairpin and gain huge seconds.